This question gets asked a lot and it’s usually answered in sarcasm and vagaries. So, today I thought I would put an actual value to the question of how expensive is Warhammer 40K. A bit of a disclaimer here. Prices can fluctuate quite a bit from those listed if you’re buying from a place like eBay, Amazon, or some online retailer in general. Also, the army you choose to play will have a significant impact on how much the game costs. Basically, I’m giving a rough idea and nothing is concrete. This article does assume you have some knowledge of the game. You don’t need to have any knowledge to understand what that final cost is. Money is money! However, I do try to explain the cost, what’s being purchased, and that’s where game knowledge is handy. tl;dr – If you’re just here for the magic number, you can jump down below. Starting out will have some upfront initial costs for buying materials you need to play the game. If you’re an existing wargamer then some of these costs won’t apply to you. For example, you probably already have dice and a measuring tape. However, someone completely new will need to buy everything. Rulebook – Free to $50. You can download the core rules for free from Games Workshop. However, those core rules are lacking a few things like advanced rules and different game types. Codex/Index – A codex is more expensive around $50, where an index is only $25. Indexes are what we got when 8th edition released, and slowly Games Workshop is giving everyone a codex. So, you may even have to buy both if your codex isn’t out yet. For the sake of discussion, we’ll go with the $50 price here. Dice – At the very least I would suggest a brick of dice. I prefer the 12mm dice because you’ll need to roll a lot of dice, so the smaller dice is easier to manage. You can get dice for $8 if you buy Chessex. Measuring Tape – On average you’ll spend about $5 for one, but you can find them cheaper, not to mention way more expensive too. Being that 40K uses a table that’s 4ft x 6ft, you won’t need a 50ft measuring tape, but you will need a measuring tape to measure weapon ranges and such. Hobby Knife – Another affordable item at only $5. A hobby knife is used for miniature model assembly, in case you weren’t sure. Super Glue – You gotta glue those models together! My recommendation for super glue is Zap-A-Gap and that’s around $9. You can get cheaper super glue, but this glue has always worked amazing for me. Paints – Painting an army is a long process, but you have to start somewhere. The bare minimum, or commonly accepted painting requirements, is 3 colors. The Citadel Paints are around $5 a pot, so you’re at $15 here at least. Plus, you’ll need a primer. We’ll say $5 for that, putting you at $20 in paints to start. Paint Brushes – Can’t do any painting without them! It’s possible to pick some up for a few dollars, though you can easily spend $30 or more a brush. The only cost incurred by the existing wargamer above (the $100 range) is the rulebook and codex. It’s safe to assume they have the hobby supplies. The newer wargamer has to buy it all, so $142. However, to avoid having to constantly give price ranges for everything else, I’ll assume an average cost of $121 (new vs existing average). 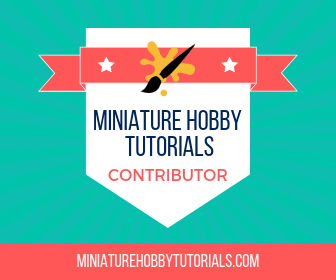 If you are a new miniature painter then check out my article on painting supplies to help guide you starting out, as well as my article on hobby supplies you’ll need. Another cost consideration, but one I didn’t list here, is army transportation. I chose not to list is because some people don’t bother, but there’s others who spend hundreds of dollars on it. However, it’s a cost that shouldn’t be overlooked either. This is the real variable. So, I’m going to base the costs on averages from a Space Marine army seeing as it’s the most popular one. This can change quite a bit army to army, not to mention the style of play you enjoy. Maybe the style of play you enjoy is cheaper (lots of infantry), or it could be more expensive (lots of tanks). Again, this is all to give a rough idea. Below I will give the cost of what’s being discussed and also a total cost. The total cost is the running price for everything prior to that section plus this current section. So, the total cost shown in the 1,000pt army section will be the starting costs from above + the cost to buy the 1,000pt army. Note that in some sections you’ll see paint. I’m adding paint in here and there because the reality is you’re going to run out of it, or you’re going to be buying more to increase the colors you have; especially where I started this off at only 3 paints. In either case, it’s a realistic component of the hobby, and in turn expense. In truth, the cost would be higher than what I’m using for most players, but I want the cost focus to be on models instead of paint. This is a decent goal to shoot for when you’re starting a new army. It’s big enough that people won’t mind playing, but not so big that it takes you months and months to achieve. Games smaller than this might be hard to find an opponent for. Of course, if you have friends getting you into the game then I’m sure they’ll play whatever size army you have. HQs – You’ll want at least one HQ, and having a second isn’t a bad idea. Actually, in 8th edition I’d recommend it. On average an HQ will cost you $30, so you’ll spend $60 here. Troops – I would suggest getting two troops choices to start with. I know it’s a bit of an old school approach, but it doesn’t make it a bad one. My math is putting this at an average of $38, so $76 for both boxes of troops. 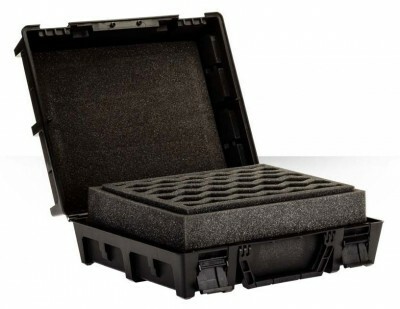 Elites – On average this comes in around $50 a box, and one box should suffice early on. Fast Attack – You can get away with $40 for a fast attack choice. Heavy Support – This is often the pricier models to buy since it includes larger kits like tanks and large monsters. Expect to pay an average of $65 a box, and one box will suffice to start. It should be noted that you could jump right into a Battalion Detachment at this point by picking up a third Troop unit. If you didn’t pick up a Fast Attack and instead got a Troop then you’ll spend the same amount (well, $2 less actually), and have yourself a Battalion from the start. You could pick up an extra Fast Attack later on if you wanted. By the standards of 8th edition, a 1,500pt army is still on the small side, but it’s a good place to be at when building a new army. At this point you’re adding in units and filling gaps you have in your list. Again, it’s all very subjective, but I’ll do my best based on experience and what I see in the 40K scene. Now that I’ve established the price per-unit above, going forward I’ll just list the expected cost based on battlefield role. I’m taking the approach of buying a single unit for each of those battlefield roles. I could add a lot of variations of sizes before hitting 2,000pts, but why bother? You’re aiming for a 2,000pt army ideally, since that’s the average size of a 40K game. At this point you’ll have 3 HQs, 3 Elites, 3 Troops, 3 Fast Attack, and 3 Heavy Support choices. With this you could build a Battalion Detachment. My idea was to present this in a rounded way. Most players aim for getting at least one Battalion Detachment in their lists to get more Command Points. You could easily do two Battalions at 2,000pts, but that comes down to preference, so I stuck to just one in this example. 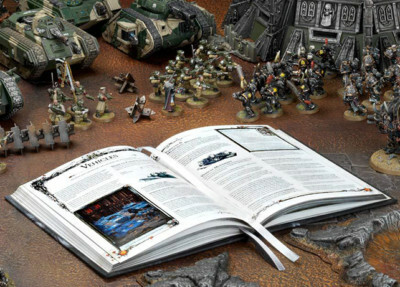 To go from having nothing in 40K to having the required books, a 2,000pt army (standard size), with some hobby supplies, is $815. It’s often joked that they call the game Warhammer 40,000 because it costs $40,000 to play the game. Well, it’s not that much, but it’s not a cheap hobby either. That being said, there are more expensive hobbies out there than 40K. Look at photography, skiing, ATVs, RVs, etc., as examples of hobbies you’ll spend way more in than 40K. Sure, there’s cheaper hobbies too, but wargaming isn’t the most expensive one by any means either. My point with this article wasn’t to scare people away from the game, but instead to give realistic examples and expectations of cost. Hell, you could buy everything off eBay and get yourself a 2,000pt army for under $200; I’ve seen it done. The reality is though that you’re going to spend some serious cash. There are some easy ways to save when starting an army too, other than discount retailers. GW has some Start Collecting! boxes that can be a great way to jump into an army. You get a few units, usually all useful, for a discounted price. The reason I didn’t use them in the calculations is that they are pretty varied army to army. Some give you an HQ and some troops, others give you troops and elites, etc. It’s not consistent, so I opted to ignore them. Once you have that 2,000pt army, the costs goes down quite a bit. At that point, many of us buy a unit here and there to give ourselves some more choices with how we build our list. Also, if a new codex comes out, it might have new units that didn’t exist previously. So, on average I’d say you’ll spend around $100 – $150 a year on kits for an army after that initial investment. Maybe you don’t spend anything after you get the 2K list, or maybe you go all out and buy a ton more? That’s my ballpark guesstimate based on myself and others I know anyway. If you’re reading this because you’re interested in starting the game then check out a series I have on how to play 40K. It covers starting an army, learning the rules, playing your first game, etc. I’ve created a nifty little infographic for easy sharing if anyone is interested. Did I miss anything? Does that sound about right to my fellow veteran 40K players? As much as I avoid GW due to the cost it really isn’t a very expensive hobby. Video games, at $60-70 a pop, can quickly become more expensive. Photography starts at around $2k if you want a decent camera, lenses, tripod, camera bag. More if you consider the cost of the computer needed to process images. Likely someone already has one, but also likely someone has a tape measure lying around. The trick to keeping the wallet happy is: Paint everything you buy. Don’t buy more than you can paint in a month. I always see people selling, at a loss, a giant, mostly unpainted and unassembled collection of miniatures in order to afford a new army for the same game. I agree. There are so many more hobbies out there that make 40K seem cheap. It’s all a matter of perspective. I also like your approach to buying models, and it’s one I tend to adhere to as well. Too many people just buy, buy, buy and get overwhelmed later with all the painting they have to do as well. I’d concur with your pricing here. Some armies (Imperial knights, custodies) will be cheaper due in part to the high cost in game for their units. while Imperial guard and tyranids lurk towards the higher end of the spectrum for initial cost. Yeah, there’s just so many variables to put a concrete number to the question. Your cost for that DG army, for example, is extremely reasonable for the size. 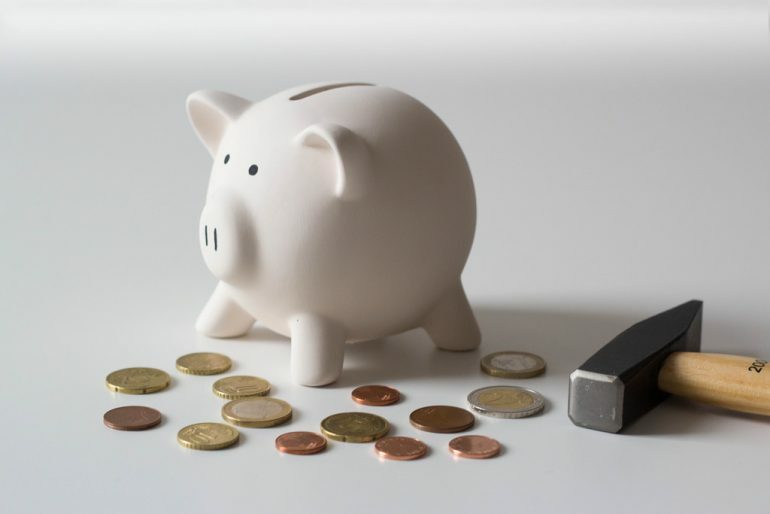 Between starter kits, bundles, and discounter retailers, you can save a ton of money. I really enjoyed this article. As an established gamer it doesn’t really apply, but knowing a ball-park figure to explain to interested friends is very useful. I’m surprised you didn’t include a section on going the “Start Collecting” or starter set routes. Here in Aus a Start Collecting box will save you about $50-$60 which is enough to get that second troops choice! The only reason I avoided the start collecting box was consistency across all armies; as in it isn’t. It is a great deal for sure though. Combine that with a few other bundles they offer and you can definitely save some cash. I do think I’ll add some info in about them though even if I don’t use them for calculations. Good call. Good stuff chief. Sounds like a solid thought out set of choices. I would say once you buy a starter set you should be set for a while for building and painting. Plenty of time to save. Definitely. Getting too much all at once can be overwhelming. Can I put an alternative take out? If you are part of an established gaming group you can get started very cheaply. In my gaming group one of the guys who normally plays board games decided to get into 40K. As a Christmas present he received a painted 500 point Khorne Daemon army (I had them and had no need for them), and subsequently a Daemon Prince and 3 Bloodcrushers. So far he is well on his way to 1,000 points and has spent… AUD56 to get himself a codex. So, the message is that in 40K as in any hobby you can spend a lot or a little and it is really specific to each persons circumstances. You’re right. There are always exceptions. I think most of us got out of it cheaper than I listed. Still, I had to go with retail prices since anything else is too variable. I think I might go with 2 HQ and 3 Troops to get a Battalion in the 1000 Point force. That has kind of replaced the 1 HQ and 2 Troops standard of past editions, and especially for Armies with a Codex, the CP make a big difference. Definitely worth taking the Start Collecting boxes into account too. In the final analysis, tho, 40K costs the same as any other hobby: as much as you have available for disposable income. You are right though. Ultimately this could be built up a number of ways. Yeah, any hobby is as expensive as you want it to be, and as you have money for. Adding up all the 40K boxes and giving a big number is dramatic. That’s not how most of us build an army. We get a few boxes here and there, build them, and paint them. Then we buy more. That’s how any hobby is when you think about it. You just don’t realize how much it’s costing you because it’s a slow trickle of funds. Yep. It works both ways. You can either be shocked when you add it all up, or think about the fact that it was a series of individually perfectly reasonable and modest purchases. There’s also the dollars per hour argument. Compared to, say, $4 for a comic that takes 10 minutes to read, or even $10 for a 2 hour movie, 40K is a perfectly reasonable use of entertainment/hobby money. Especially for someone who enjoys all aspects of the hobby, and can count building, painting, and playing all as enjoyment time, rather than as an additional cost. I forgot about the dollar per-hour argument. Good point. Great article. Obviously that is an approach. Deppending on units chosen, and offers the price could vary a lot up or down. Yeah, the price I gave could be way cheaper, and it could even be more expensive. There’s too many variables to be 100% accurate for sure. Therein lies the follow-up posts – cheapest $wise 2000pt army ;) Defintiely an interesting overview though with so many variables but a great target for people to try and beat too! It’s the surprise that an Imperial Knight army can actually come in cheaper than armies with deals on bulk purchases. Or the likes of Custodes where you only need to buy a few. I think perhaps for Space Marine players you probably can’t go wrong with Betrayal at Calth. I;ve been eying it since it was released but really don’t need all the figures but I’m pretty certain they could form just one army and you also get a game. And Deathwatch Overkill is still the single most advised purchase for any Genestealer Cult player, the amount of time you see ‘2 boxes’ as the default ‘start collecting’ advice to those interested. And again you get a game and can sell off the Death Watch! Hmm. Now I’m thinking that an article which breaks down each army and the ways to save, like the boxes you’re mentioning, would be good. Take a while to do, but it would be a great resource. Every blog has to have a USP ;) we’re all doing battle reports and Codex reviews. Budget wise for instance with nids it’s worth noting that Tervigon/Tyrannofex kit is significantly cheaper than the Exocrine/Haruspex or the Toxicrene. Taking into account the effectiveness of both the Tfex and Exocrine, which are comparable you may as well get the Tfex as its cheaper and you get more model for your money too! It’s also easier to get hold of. Its all about value, like how Genestealers, in all their guises are ten a penny on ebay and soooo effective and can also springboard a Genestealer Cult Army as well in fact they’re a ‘2fer’! Loads of cool content in that subject. You should do it. I think I will work on it slowly as I have time. Your info is helpful too since I don’t play Tyranids, so I know very little of them. In fact, that’s the hurdle in doing something like this, knowing each army to properly give advice. That being said, I see doing these as one army at a time (one article each), or combining a few together (IE: Nids & Cult). With like 28 armies, that would be a REALLY big article if I crammed them all together ;) Plus, it just makes writing it easier too.